Could A Balance Transfer Help You Get Debt Relief? HomeBlog Debt ReliefCould A Balance Transfer Help You Get Debt Relief? The holidays are the season to be jolly and to get inundated with credit card offers. Many of these offers will be for 0% interest balance transfer cards. 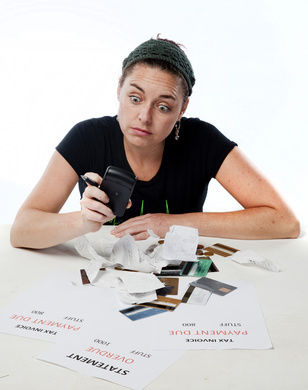 So if you’re carrying a load of debt, could one of these cards really help you deal with it? The way these 0% interest transfer cards work is simple. You transfer all of your credit card balances to the new card and then pay no interest for a promotional period that would be anywhere from six to 18 months – depending on the card you choose. This 0% interest period would help you pay down your balance since all of your payments would go against it instead of paying interest. One of these cards could help if you have multiple high-interest credit cards with balances you could transfer to a new card with a lower interest rate. For example, if you had four cards with interest rates of 18%, 20%, 21% and 12% – for an average interest rate of 17.75% – and transferred all those balances to one with a 12% interest rate, you’d be money ahead, plus you’d have that promotional or “time out” period of six to 18 months to pay down your balance and save even more money. Where will the interest rate go? Before you sign up for one of the 0% interest balance transfer cards, be sure to read the application carefully so you’ll know what the interest rate will be once your promotional period ends. It could actually be as high as 18%, which would basically put you right back where you started or in even worse shape. The best way to use one of these cards is to pay off the entire balance before your promotional period ends. That way you’d be paying no interest, which could save you a considerable amount of money, and think how good it would feel to be free of credit card debt. Be sure to carefully read the fine print so you’ll know the potential dangers. For example, with most of these cards, if you miss a payment or are just one day late, you’ll lose that 0% interest and your rate could grow by as much as 30%. If you make less than the required minimum monthly payment, you could also lose the 0% interest and ditto if you were to go over your spending limit. Most of these cards will give you the 0% introductory rate on stuff you purchase as well as the balances you transferred. However, it’s best to not add any new purchases to the card and use it only for the balance transfer. That will both make thing simpler and keep you from running up new debt. Almost all these cards come with a transfer fee that is typically 3% of what you transfer. In other words, if you were to transfer $20,000 in credit card debt to the new 0% card, you’d probably pay $600 for the privilege. Before you sign up, be sure to sit down with a calculator to make sure this fee won’t wipe out the savings you’d get by transferring you balances. If you do owe $20,000 or even $10,000 in credit card debt, a balance transfer won’t help you achieve debt relief. It moves your debts from one set of credit cards to another card and offers the opportunity to pay down your debt but doesn’t eliminate it. For true debt relief, you could let our debt counselors negotiate with your credit card providers to get your balances reduced instead of just moved around. We’ve helped thousands of families get out of debt in 24 to 48 months and with a payment plan they were easily able to afford. Contact us today to learn what we could do to help you become debt free.